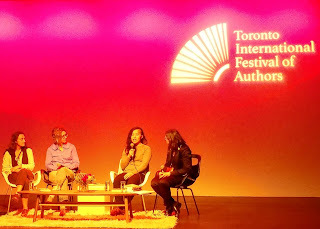 The Graduated Bookworm Blogger: Toronto International Festival Of Authors Blitz: Part Two! 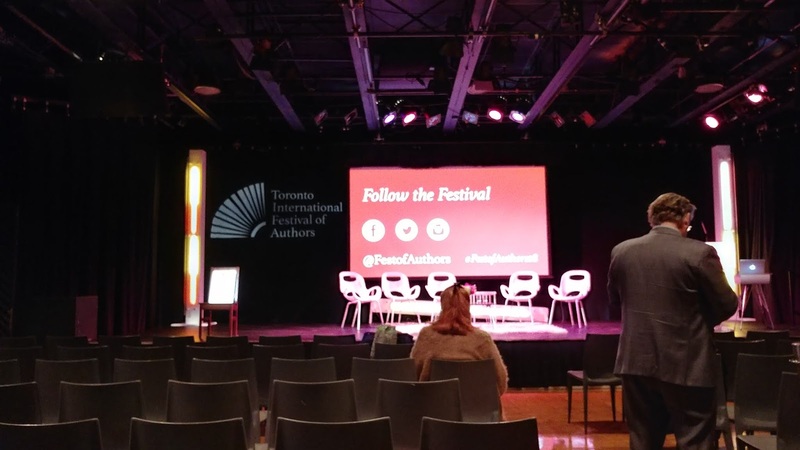 Toronto International Festival Of Authors Blitz: Part Two! Welcome Back bookworms!! I know that you're all here, because you're wondering what else I could possibly say about the festival that happened in October! Well to be fair, these kinds of events and love of books never ends! This is a recap/my thoughts and opinions on the festival since it was my VERY FIRST time attending!! So with that being said, let's get into the second part of the festival! So if you missed my part one, you can check it out HERE. I'll quickly let you in on what the festival was all about! 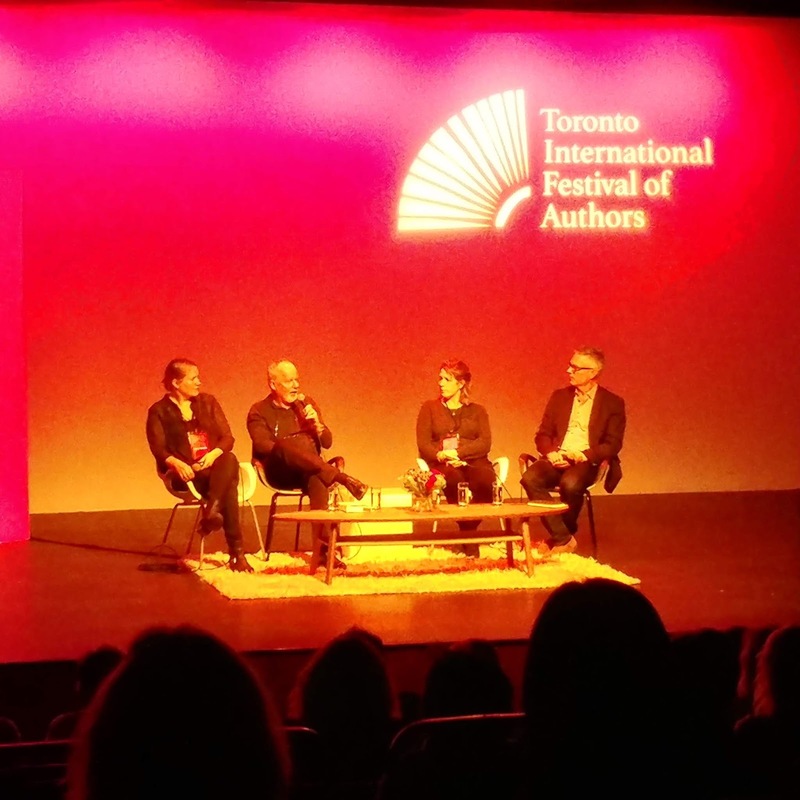 So from the very beginning, over the course of eleven days, authors from all around the world come together to discuss their work, and their love of reading and the written word! There are guest speakers, readings, poetry slams, Q&A, book signings and so much more! Each year the line-up gets bigger and better, and it was absolutely fantastic! 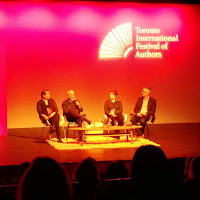 Although I didn't get the chance to see every event that was happening on my list, I was able to attend so many that will be stuck in my mind (especially as I write my own novel, hearing their advice in the back of my head). There was such a variety of events happening, including this powerful presentation on how the way we present information can easily be influenced in some way, purely based on the language that we use on a daily basis. It was definitely eye opening sitting there and listening to it! All of the staff members and volunteers that were working this event were absolutely fantastic, kind and helpful! I truly didn't have one negative experience with anyone, and it was so amazing to see how all the events flowed so well within one another. The awesome people at TIFA worked so hard, and it truly shows between the video clips, photos, venues, discussions, and overall atmosphere! Alright, now it comes down to my favourite event that I attended during the festival. I think that if I could have attended more events throughout the eleven days, I may have a different listing, but my absolute top favourite would be the Poetry Game Show! Most of the events I attended were by myself, but I actually brought my boyfriend to this one and we couldn't stop laughing so much throughout the show. 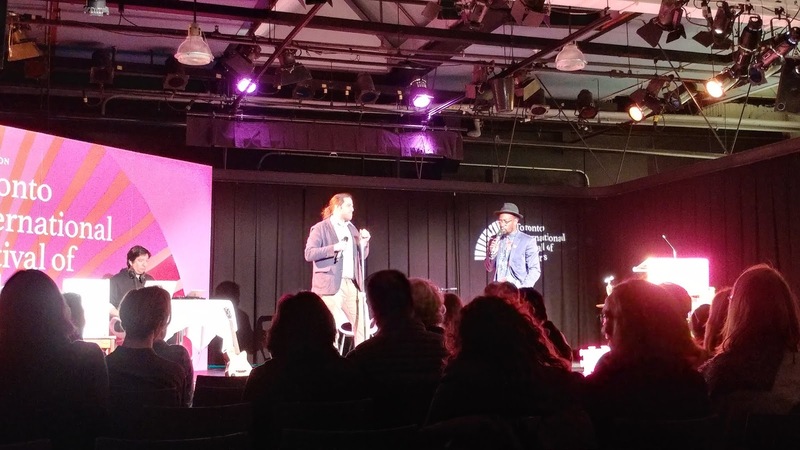 There were games, prizes, and voting by the audience, and I think it was just a great way to bring more creativity to the festival! The hosts of the show really brought the energy, even if it was controversial at times, but I think that's what they were going for. With the written word, we generally write about controversial things, and they were just using a different way to present it...which was in a song! What I loved about it, not only were there poets sharing their own writing, but it was in creative ways that I never really thought about, and it just made my experience a great one! Of course during the performance, all bets were off, and they went for anything and everything leaving no room to hesitate. Definitely an event for adults...but I loved it! There was one poet there who I absolutely LOVED! She didn't use and sort of inappropriate language, but the words she spoke were so powerful, I was mesmerized! Of course she ended up winning the trophy that they were giving after the audience voted on it! Each day that I attended the event, I was always taking away some form of inspiration, knowledge or just entertainment. The authors that were in discussion always had something to share, whether it was the style of their writing, their personal lives and how it inspires the way they work and write in their novels. It was also just great to be around so many people that not only like myself enjoy reading, but we all have some form need or want to become just like them and have books published, or to just dig down and finish a novel. Personally for myself I think that it would be even more amazing if TIFA were able to get some current authors that are of the Young Adult novels. By having books that are written for children, as well as adult authors, I think it would be a great mix to have more authors that are both well known and new into the publishing world for young adult/teenagers, because then you're truly branching out into every age group possible, which would bring even more people to the events...In my opinion. 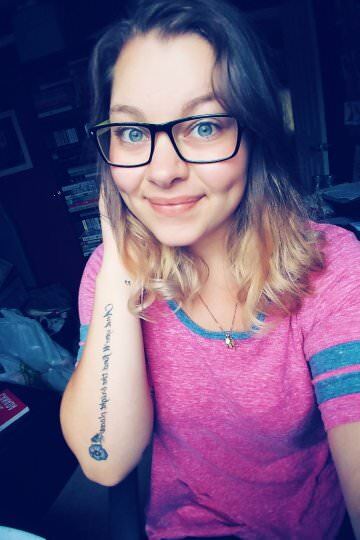 I think authors like Angie Thomas, Elly Blake, Julie Murphy, and Becky Albertalli who all break out of the norms of Contemporary and bring you taboo topics, heightened sci-fi/ fantasy or discussions that may seem controversial to some, but is breaking barriers and is reaching so many young adult people, they would be the type of great fits for the festival! 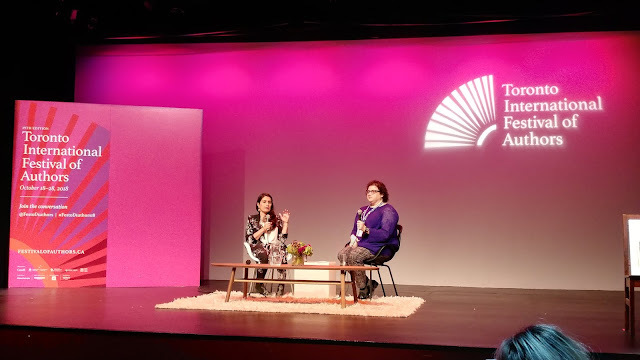 Overall this was an incredible festival, and I am so honored to be part of the delegate program, and I hope that I get the chance to do it again, because it was a fantastic experience for this blogger, and for the first time attending the festival. I truly cannot wait to see what Toronto International Festival of Authors has in store for us next year, because you can bet that I'll be sure to check them out again!! That's all for my final part to my TIFA coverage, and I truly hope you enjoyed it! Remember that events like this are happening all year round, and TIFA actually has a Lit On Tour, travelling around with awesome authors to bring you even more fun, entertaining, and inspiring authors for you to learn and talk with!